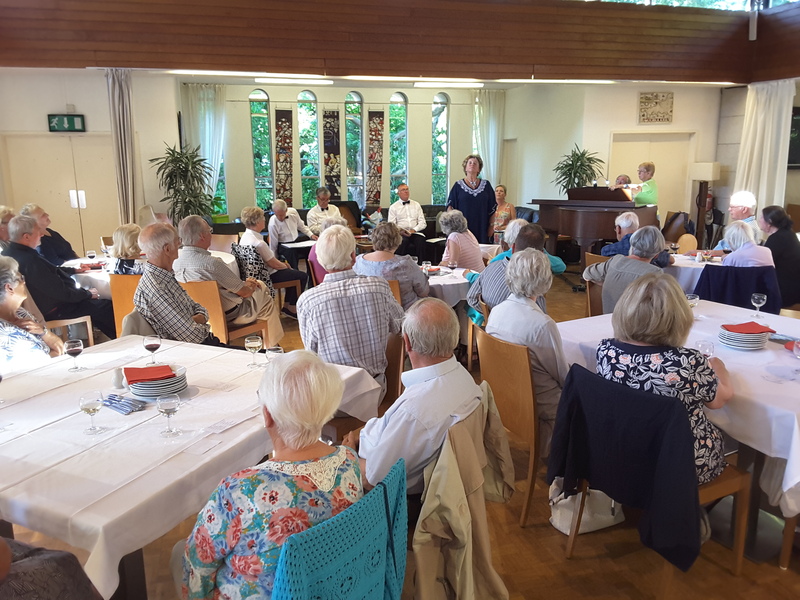 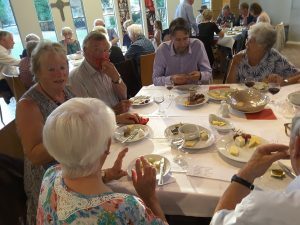 On Wednesday 25 July, a group of 72 Friends were entertained by the Gilbert and Sullivan Singers from Penzance. The group comprised Kate Wood (Soprano), Angela Thomas (Contralto), Rob Murdoch, Simon Matthews (Tenor) and John Isles (Bass Baritone). The Accompanist was Philip Chant. 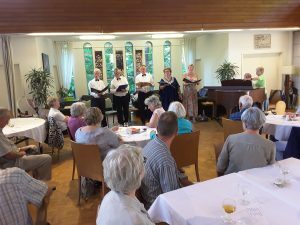 They sang a selection of songs from 4 Operettas. 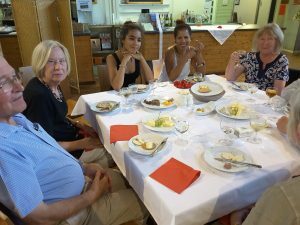 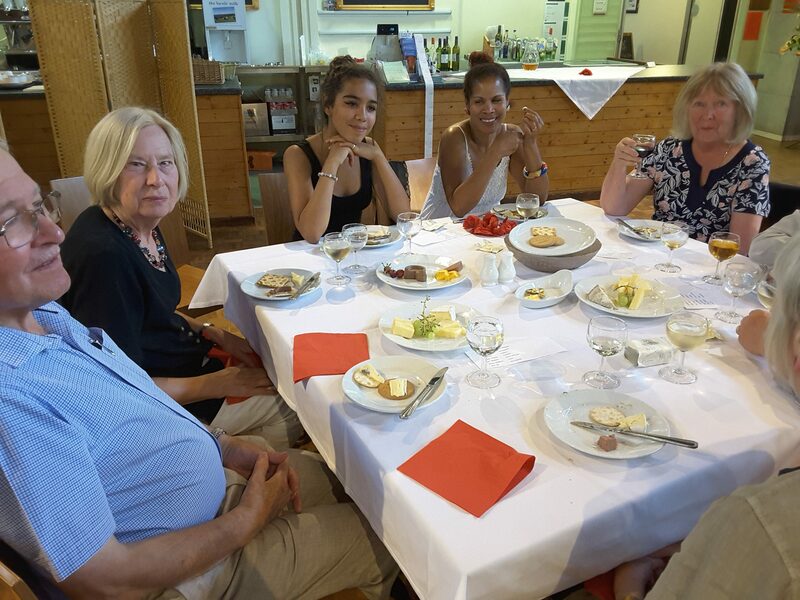 During the interval a delicious cheese and wine supper was provided by Marilyn and her team. The event was enjoyed by all attendees.